OK! I have played through the entire beta, and here are my observations of what I found. Its part 1 of 3 since I figured Part 2 would be the Alpha Bitrate promised to upload. Maybe there will be a part 3 that compares the 3DO version to the PC version, but since its so drastically different, I may not do it. The beta has absolutely NO fundamental differences compared to the retail disc. The game is basically finished, considering all the enemies are present, all the soundtrack is included where it was in the retail version, and there are no more / less levels than in the retail version. So basically this beta must be beyond the point where they were "creating" any of the game, and existed as a build to look for bugs, ect ect. Now of course I didn't play each game side by side to see whether or not a tiny part of the map was altered (IE: wall moved a few spaces) but I did play through each section of the beta, checking every corner and wall out. Here are the subtle differences : Beta = way more generous with the ammo. On medium, in the retail copy, ammo can get pretty scarce if you don't manage it well. In the beta, on medium, I never ran out of ammo once. I didn't play any differently, and cleared each area of enemies. So between the beta and the final release, they made the game 'harder'. Also seems that there are less hit points on the enemies in the beta, but its so hard to tell considering Killing Time doesn't have the best hit detection in the world. Enemy placement = In the hedge maze, hunters appear a few corridors before they do in the retail copy. I know...huge huh? Here are the issues : The hedge maze is a disaster. As soon as you even attempt to enter the area, you start clipping into oblivion. Only by walking BACKWARDS can you avoid this happening. For some reason, the engine must not be rendering what is behind you, so by not "looking" at it, you don't let it start bugging out. Unfortunately, you do need to turn around to open some of the doors. Basically...you need to force the game into the bug, keep hitting the c button, listen for when the door opens, then turn around again to get out of the clipping. This occurs @ 1 frame per second or so, so it can take a good minute to make this happen. Even still, you can get from one end to the other if you try hard enough. Also in the hedge maze...the tommygun gangsters are corrupted (well, half of them are) and you can hear ducks quacking and being squished as you walk around, but they NEVER appear. In the wine cellar...two issues. One, some of the floor and ceiling textures just aren't there....even if you exit the area and re-enter, they are missing. Also, in the "mirror room" (At least what I like to call it) where you have to pick your path in between crates to get from one end to the other, that puzzle isn't included in the beta. You can run from one end to the other picking whatever path you want. In Egyptian Switches...there is some minor texture distortion in open passageways. Basically, whatever texture is on the wall behind the opening shows up magnified 10x. Once you pass through, it stops. Interesting things : When you go to start a new game, the player name by default is Jonathan T. Mason. I checked the name against the developer list in the retail version, and it's not listed...so I am guessing its safe to say that is the name of the character your playing as. I wonder if they were going to give the player some backstory at some point and cut it out due to time constraints? Map and Polygon bugs: The map bug still exists, but to a lesser degree. I fell through the floor into the sewer off the east wing of the mansion, and my entire map progress from the sewers was saved. So that's an improvement over the retail copy. Upstairs in the mansion and in the mazes at the beginning of the game, your map progress still dissapears once you leave the area. More enemies ? : I swear in the maze outside the mansion entrance there are more hunters in some rooms than in the retail version. One large area alone had 14 hunters and about 8 ducks. I never recall having that many enemies in one area in the retail version. Enemy "sprite" size - I swear some of the enemies seem scaled down compared to the retail version. I need to check this a bit further though. Perhaps they increased their size once they optimized the game further on in the version # history. But thats about it! The beta is basically a buggy version of the retail release of Killing Time. Unfortunately there aren't any new / different areas or enemies, no extra soundtrack or FMV videos. It must have been pretty close to being finished by this point. If it wasn't for the hedge maze being really messed up, I would never have even guessed I was playing a beta. Hope everyone enjoyed this! I had fun checking the beta out. Special thanks to 3DO Experience for uploading the game. Below the three photos is a link to a small movie showing the "clipping" bug I described in regards to the hedge maze. You can see that before you even exit the door to the maze itself, the game gets pissed off! Also, the beta automatically deletes your save data from the retail version as soon as the disc boots. When you go to the loading screen, you can't load a retail save. It works in reverse as well. Once you boot the beta, your retail save is gone. Once you boot the retail disc, your beta save is gone. It was theorized that if you compress the save w/ game guru, you could avoid this. I don't own / have a copy of game guru, so I can't test it yet. If anyone wants to post this article on another forum / their site, awesome. Just please credit me with the work. Also...who thinks I should do a comparison between the 3D0 version and the pc version? It people enjoyed this first comparison, after I do the alpha comparison I'd entertain doing the pc version. Wow I really can't wait for part 2! You did a great job and I'd love to see a comparison between the 3DO and the PC version. The compression trick for the save file will work. The Guru changes the extension so the game will leave it alone. It doesn't even need to be tested, so to those who got the image feel free to play. Let me do the comparison for pc/3do for you. It's all different. That aint no joke. There really is no comparison to be made. Thats not entirely true. The pc version re-used alot of the textures from the 3am version, as well as a few sprites. Some of the level layouts are also similar. It would be a fun comparison since I can't think of many games that changed platforms and got such a huge redesign. So for that instance alone it's interesting. Plus the pc version does give us a third ending. (which I do find interesting) I'd love to somehow contact one of the developers from each version and email some questions too, but I dunno bout that. 3do experience. Glad to hear you liked part one! This is great work and shows dedication. The Killing Time alpha will be going up with UMK-3 data tomorrow. Oops. Above my iPhone autocorrected 3DO to 3am. Thanks for putting this together. Reading what the quirks are like in the beta make for an interesting read. I'm confused on the whole good ending bad ending thing , I've beaten killing time more times than I can count and every time I get this ending . anyone got a video of this "good"ending ? or care to explain it a bit ? The bad ending cuts to the credits after tess kills duncan. The PC version added in the third ending. How does the game dictate which ending you get? I have no friggen idea...its so random, and I've never gotten anything other than the GOOD ending on the pc, and both endings on the 3DO...so I have no idea what parameters dictate which ending you see. In the 3DO version, you can win the game without collecting all the winged vessels, and still get the good ending. I've also gotten the bad ending when I did collect all the winged vessels...so maybe its time based? Like how long it takes you to beat the game? hmmm...you have a point. I always assumed the longer ending was the good ending, since it just "gave you more". Wow...so I still wonder what makes each ending come up? I would think getting all keys / winged vessels would give you the good ending. Yet I pretty much always get the burning ending. And I doubt its time based, since I can clear the game pretty quickly. Yeah I deleted my original post because I saw you burn in both, so I dug up the old thread. I don't really think there is a "good" ending, one of them just has a little more closure. All three endings were talked about in the thread Killing Time ending. I guess there is slight similarities in the PC version, but I just really hate the PC/Mac version. It had too much that felt like it was a chore. 3DO KT was the perfect balance and they should of left it at that. A straight port from the 3do version to the PC with more view distance and more framerate would of been making an awesome game even more of a classic. I apologize for the delay. I had uploaded the file and then remembered that you wanted it signed. I had some issues signing the image and I'm still working on it now. I'll upload as soon as it's ready. Its cool man..I appreciate everything. I'd sign it myself, but since I am on mac I don't have any real way to run the programs. I'll sign it and then do an new upload. Just put out the link for those of us who want it untouched. 3DO Experience wrote: I'll sign it and then do an new upload. Just put out the link for those of us who want it untouched. Sorry if you sounded commanding, it wasn't meant to. But I can't help but notice... you didn't include a link in that post. It's uploading to MediaFire as I write this. I'm bored and have free time to explore the alpha version to do a write up...anyone? Bueller? Bueller? Bueller? Bueller? Bueller? Bueller? I had a Chem teacher that talked just like Ben Stein and he literally put me to sleep. I'll give Ferris my kidney if you give me that killing time alpha! I sincerely apologize for the delay in getting this out guys. 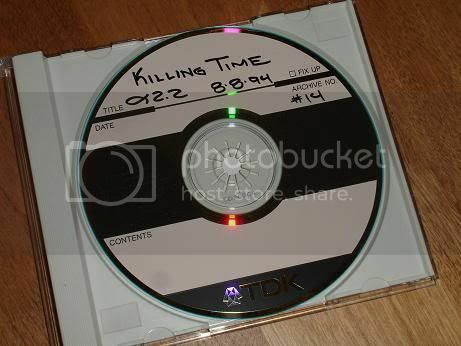 Anyway, click on the picture to download the Killing Time 2.2 alpha (unsigned). No worries. Thanks for uploading it! If someone can sign it in the next hour and change, I will be able to play it when I get back to my house...3do experience, you up for the challenge? Stoked to play it though. Thanks again! hoping to find major differences in the alpha...keeping my fingers crossed! I'm downloading it right now, says it want an hour, I'll sign as fast as possible and upload it. Thank you bitrate, this is really awesome. 3DO Experience wrote: I'm downloading it right now, says it want an hour, I'll sign as fast as possible and upload it. If I had more time, I would have looked into the issues I was having with signing. I tried it on two different PC's running two different OS's. 3DO Experience - can you toss your version of the signing tool up somewhere to download? Or maybe you remember which version of the tool you have and could point me to it? I tried some of the links in the "Encryption" thread and some of them work, some don't. I went over the rastersoft.net site and downloaded the signing toolkit which appears to be an iso file? Anyway, if your tool is working I'd rather start with that than spend time figuring out what's going on with mine.